Congratulations to Younger star Hilary Duff on the birth of her second child, daughter Banks Violet Bair. 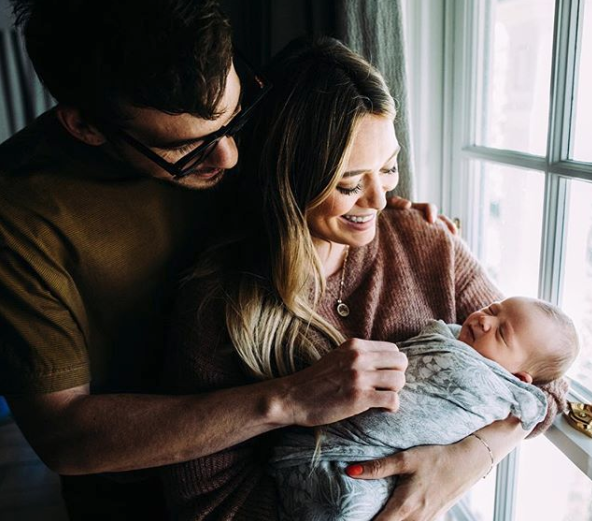 The Lizzie McGuire alum announced the news on her Instagram page on Monday that she and boyfriend Matthew Koma welcomed their newest arrival October 25. 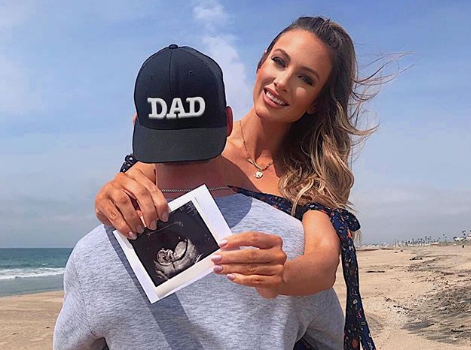 Duff announced the news earlier this year. She is mom to 6-year old son Luca from a previous marriage to professional hockey player Mike Comrie. Hillary Duff is expecting her second child, a daughter this time! The Younger actress announced the news on Friday. “Guess what guys! @matthewkoma and I made a little princess of our own and we couldn’t be more excited!!!!! !🤰🏼👶🏼🎀,” the former child star announced on her Instagram account. The Lizzie McGuire alum told the ladies of The Talk last December that her off again on again beau musician Matthew Koma was definitely on. Seriously! You cannot get any more “on” than welcoming a first child together. In doing so, they are also making a big brother out of Duff’s 6-year old son Luca Cruz whom she welcomed with her ex husband professional hockey player ex husband Mike Comrie. For the Duff family, there will be a lot of little girls running around. This news follows the birth of Duff’s second niece Lulu Gray on Tuesday. 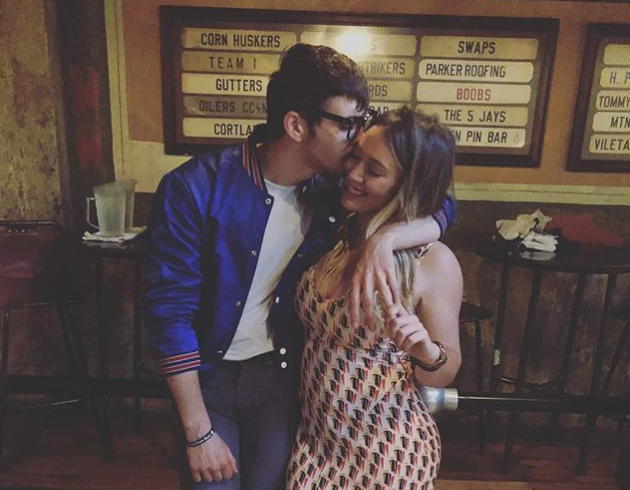 Her sister Haylie Duff welcomed her newest little one into the world. She and husband Matt Rosenberg are parents to first daughter Ryan, born in 2015. Congrats to the entire family which is definitely getting bigger when you count the cousins. Guess what guys! @matthewkoma and I made a little princess of our own and we couldn’t be more excited!!!!!! I was perusing the latest issue of Ebony magazine, the one with Nia Long on the cover, and there was an article in it where Disney star Kyla Pratt of shows like UPN’s One on One, Disney’s The Proud Family, Lizzie McGuire with Hilary Duff, talked about having a baby last year. Her daughter, Lyric Kai Kirkpatrick, is 10 months old. From the article, it isn’t clear whether she is still with her child’s father and she doesn’t discuss who her daughter’s dad is. I’ve grown up in a house where I’m the oldest so I’ve been a second mom to my brothers and sisters. 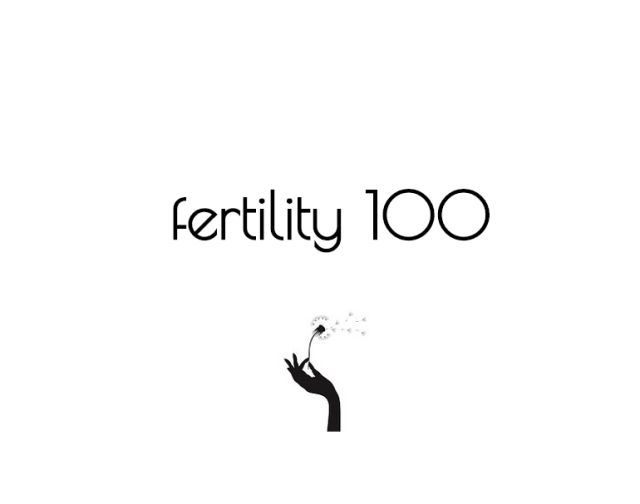 I’ve just always wanted to be a mom… My daughter is 10 months and I feel like I’m still not caught up on rest since my 36th week of pregnancy. I found this photo of her wearing what looks like a prosthetic set prop during a promo event for her role in Hotel for Dogs and it had folks wondering whether it was real or not. She sure did a great job of keeping her entire pregnancy under wraps. Pratt recently landed a gig on BET‘s scripted series Let’s Stay Together.